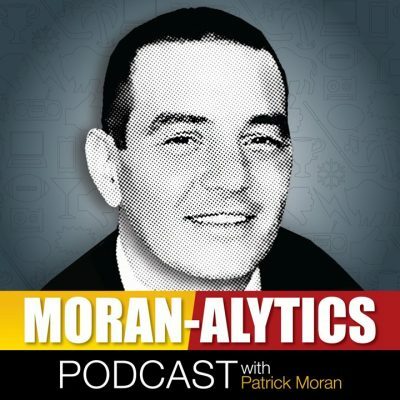 On this episode of the Moran-Alytics Podcast, Patrick Moran welcomes the show’s first two-time special guest, Kris Baker of The Athletic. When Baker appeared on Episode No. 31 in July, Moran took a deep dive into Baker’s life and career. This time it’s all about Buffalo Sabres hockey as the puck is set to drop on the NHL season this Thursday. Moran talks to Baker and gets his thoughts on the opening roster as it’s currently constructed, on Tage Thompson starting the season as a top six forward, Casey Mittlestadt centering a third line and the performance of prized rookie Rasmus Dahlin during the Sabres preseason. They also spend time talking about some guys who didn’t make the Sabres roster coming out of camp, including Alex Nylander, Brendan Guhle, Victor Olofsson and Rasmus Asplund. Which prospects could be up with Buffalo sooner than later? Finally, Moran asks Baker if he’s perplexed about Jack Eichel, the face of the franchise not yet being named the Sabres captain. You can follow Kris Baker on Twitter (@sabresprospects) and read his along with a who’s who of incredible sports content by subscribing to The Athletic. After that Moran is joined by Tone Pucks (@tonepucks) for their “Pat with Pucks” segment. Today they’re breaking down the good, bad and ugly from the Buffalo Bills latest lopsided loss, a 22-0 shellacking in Green Bay. How much of the blame falls on rookie quarterback Josh Allen? Is it time for the Bills to start actively trying to move Lesean McCoy? Is Kelvin Benjamin ever going to help the offense? What rookie was the team’s biggest bright spot in their third miserable outing in four tries? All those topics are discussed as well as some New York Yankees and Ryder Cup talk before the Puck Drop comes on former Sabres general manager Tim Murray and final shout-outs to an Academy Award winning actor and longtime now former sports writer for the Buffalo News.